ustin and Caryn were wonderful to say the least! 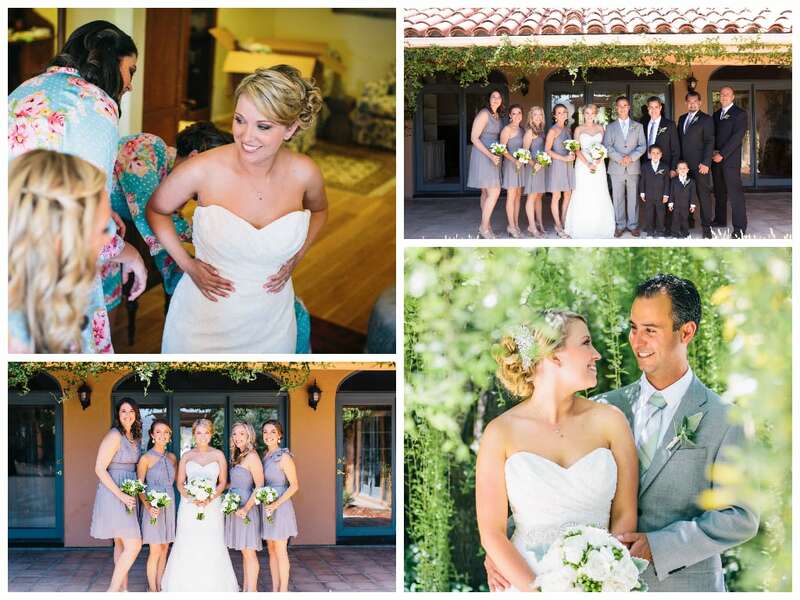 It was a beautiful Central Coast day, the bride and her bridal party prepped in the master bedroom of the Estate House at Apple Creek Ranch while the groom got ready just across the way in the Guest House. 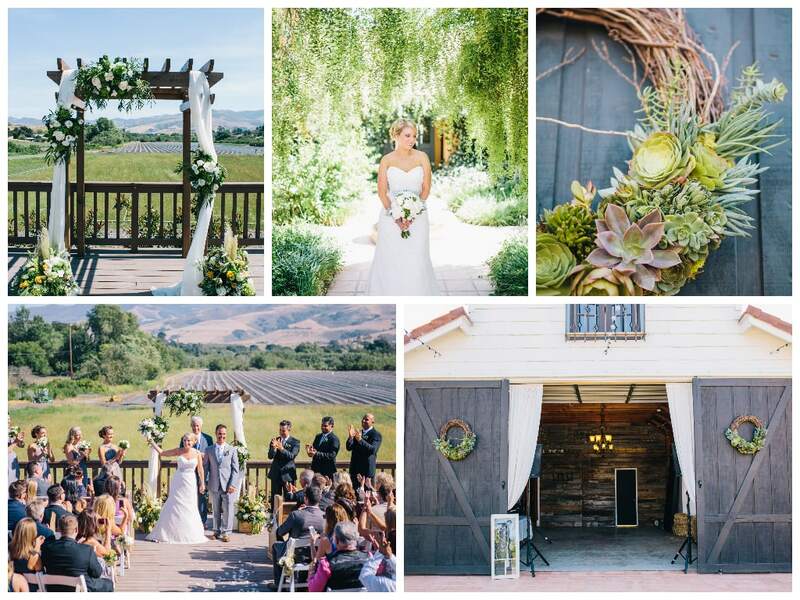 The ceremony took place on the back patio of the main estate, showcasing the beautiful simplicity of green and neutral accents, largely attributed to the bride and her mother. Along with the help of the groom, they created almost all the details of the wedding, from centerpieces to table numbers, giving everything a personal touch! Following the ceremony, guests were invited to drinks and appetizers just steps away from the patio deck. 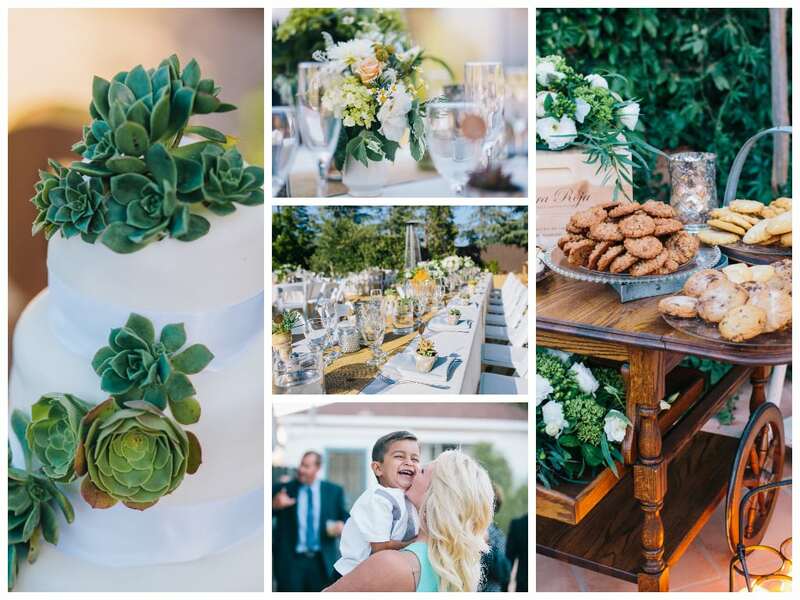 Tables were detailed with minimalist succulent pieces and floral accents provided by Rita’s Flowers. Then the party truly started with the entrance of the bridal party and the couple’s first dance to “Free” by Zac Brown Band. Following the first dance was a wonderfully delicious buffet courtesy of DJ’s Catering. The day was relaxed and happy, the guests had a great time dancing the night away and enjoying cookies and sweets provided by the bride’s favorite L.A. bakery. It was all great energy from a great crowd! Kramer Events had an amazing experience coordinating the Ramirez’s wedding and would like to thank Lisa Mallory Photography for capturing these memorable moments.